Roger J. Gemmen, MD passed into eternity on Monday, May 14, 2018. Roger was born and raised in Allendale, MI and attended Calvin College and the University of Michigan with a major in chemistry. After a tour of active duty in the military he enrolled and graduated from George Washington University Medical School in Washington D.C. with a MD degree in 1965. Following a five-year residency in general surgery including a three-year Fellowship at the Cleveland Clinic, he began a career in private solo practice of general surgery initially affiliated with Zeeland and Holland hospitals. In 1990 he joined a surgical group practice in Oklahoma and subsequently moved to Minnesota where he completed a thirty year career in General Surgery. In addition, and concurrently with his surgical practices, Roger was an integral part of the start-up and development of an organic chemical company in South Haven, MI – Wykoff Chemical Company. In late 1999 he retired from his surgical practice and also the chemical company was sold. He returned from Minnesota to Western Michigan to retire. 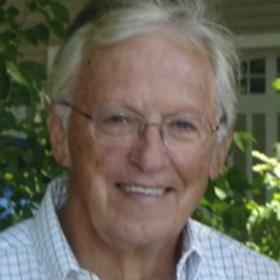 He remained active in real estate development with both Western Michigan and Naples, Florida up to his recent passing. Dr. Gemmen was a member of several medical societies including a Diplomat of the American Board of Surgery and the Fellow of The American College of Surgeons. He is survived by his wife, Laurie. He also leaves behind his five children and grandchildren: Ingrid (Patrick) Byker (Joshua) of Durham N.C., Eric (Diane Kopasz) Gemmen of Arlington, VA (Olivia & Pauline), Jennifer (Jason) Krick (Willem & Katherine) of Grosse Pointe, MI, and Jonathan (Erin) Gemmen (Caleb, Ruthie, Nathan & Lillian) of Mentor, OH; his two step children: Kristen (Jared) Redell (Trent, Trey, Blake and Jace) of Grand Rapids, MI and Michael (Alicia) Grassmid (Camden, Kolton and Lexi) of Holland, MI; mother-in-law: Geneva Van Wieren; siblings: Betty (Fred) Jacobs of Zeeland and Garald (Patricia) Gemmen of Allendale; sister-in-laws: Deb (Don) Axce, Joy Van Wieren, and Linda (Vern) DeLange. A memorial service will be held at 2:00 pm, Thursday, May 17, 2018 at Dykstra Funeral Home – Northwood Chapel, 295 Douglas Avenue in Holland. Rev. Greg Ten Brink will be officiating.